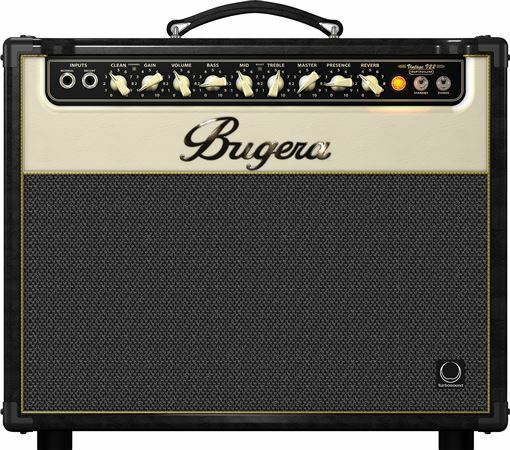 Shop Bugera Vintage V22 INFINIUM Guitar Tube Combo Amplifier from AMS with 0% Interest Payment Plans and Free Shipping. Building on the original VINTAGE V22, which has become a modern classic and inspired combo amp design, the impressive and hand-built, 22-Watt, 2-Channel VINTAGE V22 INFINIUM exudes vintage tone and style, plus possesses modern features that will launch your sound into the sonic stratosphere. Loaded with 3 x 12AX7 preamp and 2 x EL84 power tubes, this incredible boutique-style powerhouse gives you the flexibility of two independent channels and selectable reverb, both switchable via the included heavy-duty footswitch. Add to this the revolutionary INFINIUM Tube Life Multiplier Technology and amazing 12" TURBOSOUND speaker, and the VINTAGE V22 INFINIUM becomes one extraordinarily versatile tone-machine that is ideally-suited for the studio, stage, practice room and concert hall! The hand-selected 12AX7 preamp tubes in V22 INFINIUM’s classic ‘60s-era preamp provide everything from sweetly-purring blues to mind - blowing crunch. Often employed in British-style amplifiers, the EL84 output tube is known for its crisp and chiming tonal quality when pushed to the max, and the V22 INFINIUM harnesses every ounce of that power to awesome effect. The INFINIUM Tube Life Multiplier Technology can extend the usable lifespan of your amplifier’s expensive power tubes by up to 20 times, saving you huge money and ensuring the integrity of your tone. How? This revolutionary circuit automatically and continuously monitors the performance of each output tube, and dynamically drives it towards the target operating point, for an evenly distributed load. I sold a Fender Hotrod because it was just way too loud for anything I do. Played rock clubs for years, and never had the volume past 3. 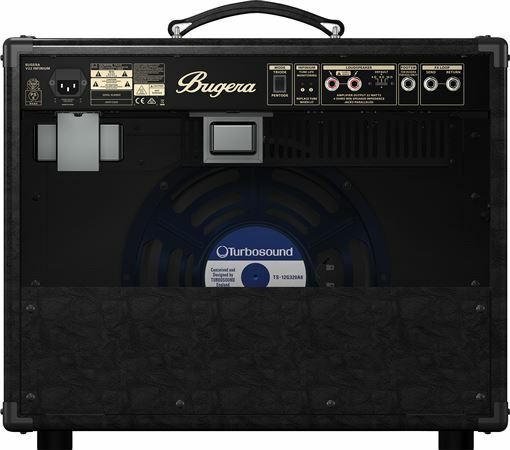 Bought the Bugera v22 because I don’t have a dedicated practice room, and it’s perfect. Quiet enough for the living room, yet powerful enough to jam at the club. Also, way better tone than the fender, at any volume! Great tube amp sound, even at low volume. My first foray into tube amps has been an eye opener. This beautiful(heavy) amp is getting me one more step closer to finding "My tone". Little bit of overdrive, little bit of chorus, some compression...and I'm close to classic rock nirvana. Now, some distortion and delay.. 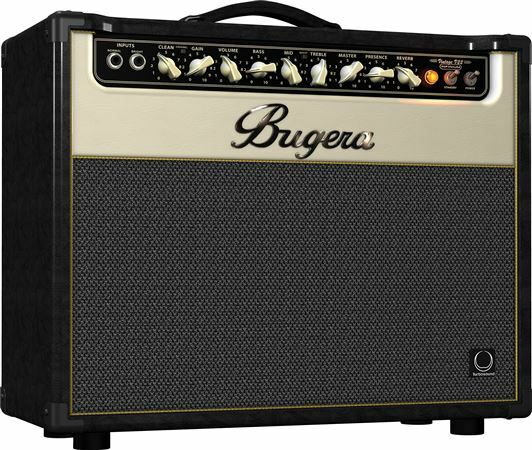 The gist of this is that this amp is a solid building block to a really good affordable rig. No better Tube Amp for this MONEY!!!! 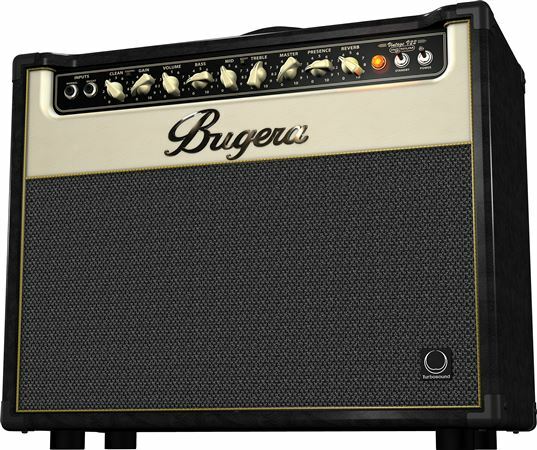 Don't be fooled by the price of this amp, you're not just paying for "an Amp" it is the amp. Nice tube tone without the big names. And I'm OK with that. AMS ships all my purchases with care. Well worth the price - 22 watts of tube power, plenty loud enough for small to medium size gigs. I run a Boss GT-1 thru the clean channel, and can dial up pretty much any tone I want. Seems to be built like a rock, no vibrating tube cage as others have talked about. The dirty channel is nice too, maybe a tad thin, no big deal. It's a bit of a beast, about 40 lbs, still better than a lot of amps with this much power. American Musical had it at my door the next day - for free!